What Are The Health Benefits Of Fluoride? Fluoride is an important and essential mineral that forms a main constituent of the bones and teeth. Fluoride is an important and essential mineral that forms a main constituent of the bones and teeth. Fluoride in the form of calcium fluoride is vital for the formation and development of the bones and teeth. Most of the fluoride is found in these hard elements of the body. Fluoride in the teeth protects us from tooth decay and dental caries. Fluoride in the bones gives our body its shape and structure, which protects the internal organs such as the lungs, brain, heart, and spine. Fluorides are also helpful in treating conditions that cause bone loss, particularly in women after menopause. The largest health benefit of fluoride is its ability to protect our teeth and fight the key cause that leads to tooth decay and cavity formation. This has been proven through research conducted by several credible organizations and institutions. Fluorides form an active component of teeth enamel, especially during teeth formation, making it impermeable and resistant to attack by harmful acids that form in the mouth from the foods we eat. Due to this, the bacteria that survive on the leftover food particles in the mouth (between the teeth) are not allowed to flourish. The harmful acids that damage tooth enamel are formed when oral bacteria digest the food particles lodged in our mouth. We get most of the fluoride from the food and water that we consume. Pickles, cucumber, dill herb, unsweetened juice of grapes, orange, apple, and grapefruit, vegetables, such as spinach, tomato, asparagus, beans, and peas, and seedless raisins are some of the foods that are rich in dietary fluorides. Fluoridation of the water supply is a regular and cost-effective practice in many countries; though, currently the practice of adding fluoride in water is being questioned. Also, fluoride forms an active ingredient of toothpastes and mouthwashes (as sodium fluoride), the use of which is strongly recommended by dentists. 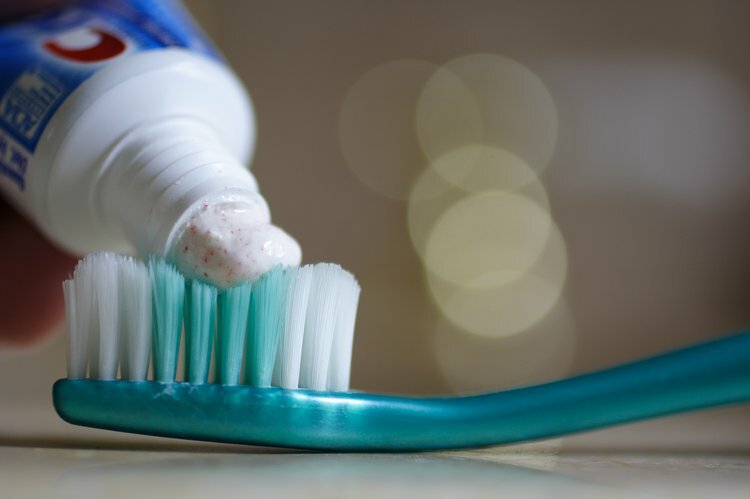 The World Health Organization advocates the use of fluorides, such as fluoride toothpaste, for the mass control and mass prevention of dental caries; however, it cautions against the excess use of fluoride treatment too. The US National Academy of Sciences, Food and Nutrition Board recommend a daily fluoride intake of only about 3-4 milligrams for adolescents and adults. In children, the recommended intake is as low as 0.7-2 milligrams per day. However, it has been observed that children are often exposed to more than the required amounts of fluoride. In such cases, they may have higher than required concentrations of fluoride, which may result in the mottling of teeth, leading to a condition called dental fluorosis (a tooth enamel defect caused by fluoride). Many research studies have been undertaken to establish the link between an over-exposure to fluoride products and health conditions such as bone weakening, cancer, and infertility. Fluoride toxicity has the potential to disrupt many body functions and cause severely adverse health issues. Eksterand J, Fomon SJ, Zeigler EE, Nelson SE. Fluoride pharmacokinetics in infancy. Pediatr Res 1994a;35:157-63. ADA Division of Communications. For the dental patient: infants, formula and fluoride. J Am Dent Assoc. 2007; 138(1):132. Clarkson, J. J., & McLoughlin, J. (2000). Role of fluoride in oral health promotion. International dental journal, 50(3), 119-128. Saxena, V., & Ahmed, S. (2001). Dissolution of fluoride in groundwater: a water-rock interaction study. Environmental geology, 40(9), 1084-1087. Petersen, P. E. (2008). World Health Organization global policy for improvement of oral health‐World Health Assembly 2007. International dental journal, 58(3), 115-121. Ghorai, S., & Pant, K. K. (2005). Equilibrium, kinetics and breakthrough studies for adsorption of fluoride on activated alumina. Separation and purification technology, 42(3), 265-271. Jiménez-Farfán, M. D., Hernández-Guerrero, J. C., Juárez-López, L. A., Jacinto-Alemán, L. F., & De la Fuente-Hernández, J. (2011). Fluoride consumption and its impact on oral health. International journal of environmental research and public health, 8(1), 148-160. Petersen, P. E., & Lennon, M. A. (2004). Effective use of fluorides for the prevention of dental caries in the 21st century: the WHO approach.Community dentistry and oral epidemiology, 32(5), 319-321.